I have encountered within Community of Christ the soul of a people yearning to be true to their calling as leaders and members. I have just spent a week at the Temple and another week prior at a staff spiritual retreat. I have been so blessed to be present with leadership, with staff, with field ministers who are striving to be devoted, to be discerning and emptying themselves to be with the Divine and to be individually and collectively sensitive and mindful to the Spirit’s presence. To be in the midst of such a cloud of witnesses is truly humbling. I used to bear this, “we/them” attitude towards the entity we call World Church when I was apart from our fellowship pursuing my own dreams. From the outside looking in, one views “church” through the filters of self-interest and the familiar workings of business and societal “wisdom of the world.” I am finding there are illusions in what is ingrained within us, internalized and accepted as daily life patterns of living, decision making and goals which seem so naturally normal. Beyond the facade of “doing” life there is a “being” alive that is a contrasting and erupting joy of clarity, knowing and passion. The Christ of yesteryear, the Christian story of redemption, our heritage of restoration are more than metaphors, more than models of goodly living and just enterprise…….they reveal at their source, Divinity, not as a topic or a truth to believe, but as a living spark of eternity, an, in this very moment encounter, that changes everything that was ever you. With people of this one mind there is a church emerging, inviting, empowering and being the presence of Christ. 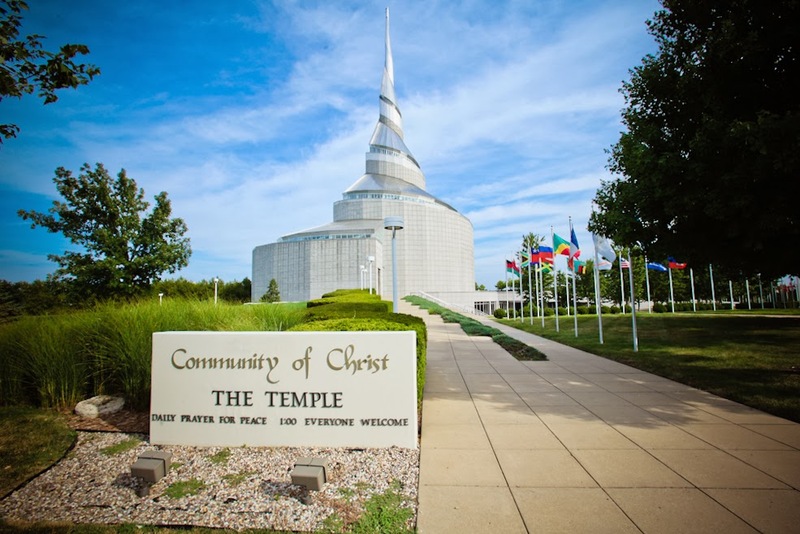 Community of Christ may be small. Yet, within its soul is “Divine encounter” that informs our identity with enduring principles imprinted upon our hearts and minds. Please do not take for granted Community of Christ. The transformations of the last 2 decades are so dramatic that if you have not prayerfully delved in to the pages of the “We Share” booklet, which is also on-line, or the inclusive theology of our new hymnal, or learned of and engaged in “spiritual practices”, or read and re-read a dozen times the “words of counsel” and past decade of prophetic scriptural canon; then, Community of Christ is a mystery to you yet to be revealed. Likely you remain in the RLDS notions of past eras that binds us to illusions that separate us from who we are called to be today as Community of Christ. The church is not an “escape” to the Divine entity. Community of Christ is an “embrace” the Divine, body of people called to “be” in Mission within the world where we live. The thrust to “be” is not attained by reading about, knowing about, talking about Christ or mission. “Being” begins with encounter, with experiencing grace that reconciles our past in Christ and enables our future to joyfully “be”. My prayer is that we all may “be” Community of Christ.